I am always looking for fun ways to give gift cards or cash – something just a little different than a regular card. Here is one way using the top note die from Stampin’ Up. Unfortunately, this die is discontinued – you may be able to find it on Ebay or other companies may have something similar. Any larger die will work to get the same effect. 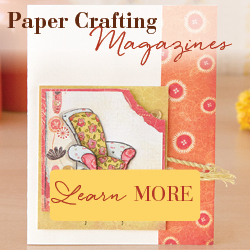 You’ll need red and white card stock, patterned paper, and a brad. Die cut 2 pieces from the red card stock and 2 pieces from the patterned paper. Trim the edges off the patterned papers so they are slightly smaller than the red pieces. Cut one of the patterned pieces just above halfway. Attach this piece to one of the red pieces, leaving the top open to create a pocket. Attach the full patterned piece to the other red piece. Attach them together with the brad in the middle at the top, leaving it loose enough so the top piece can swivel open. Stamp “Merry Christmas” from Hero Arts (or your favorite sentiment) with green ink on white card stock and punch with an oval punch. Attach to the card with pop dots. The pocket is perfect for holding a little cash or a gift card. Helps to make the gift a little more special. This entry was posted in Cards, Christmas, Gifts, Uncategorized. Bookmark the permalink.